Okay I saw a banana turned into a minion on the internet and I just couldn’t help but make my own! It’s not great but hey close enough right?! You be the judge ;) Have a great long weekend everyone! 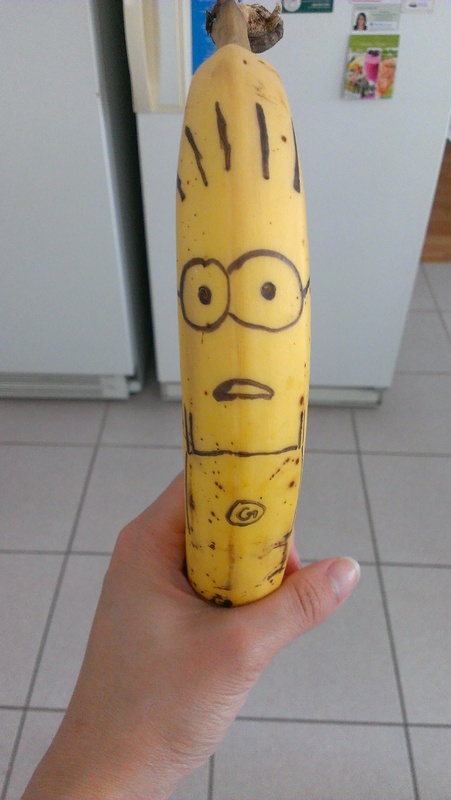 This entry was posted in Miscellaneous and tagged banana, despicable me, minion.